Henry "Banger" Benvenuiti started his career painting with Jean-Michel Basquiat in New York City before moving to Paris and eventually Toronto where he currently builds and paints film sets, writes poetry & creates digital collage. The Hercinia Arts Collective is a Toronto based performance company fusing aerial, dance, acrobatics and theatre. Sandra Fitzsimmons is an emerging actor, performer and visual artist based in Toronto. Tonya Henry has performed on stage and for the camera since 1992. Eszter Jagica is an internationally known performer and director. Her interests lie in contemporary experimental performance and especially in the processes of social stratification. She is a Ph.D. candidate at the Centre for Drama, Theatre and Performance Studies, University of Toronto. Istvan Kantor is active in many fields from performance art to robotics via video, sound, installation, music, text and new media. Kantor appropriates the trappings and gimmicks of the historical avant-garde into an all-inclusive new term: Neoism. Among his awards are: the Telefilm Canada Award for Best Canadian Video (1998), the Transmediale 2001 video award in Berlin, Germany, and the Governor General's Award for Visual and Media Arts in 2004. Christina Kozak studied theatre in Ottawa before moving to Toronto to pursue acting, performance art, costume design, video production and directing. Ian Malone has performed on stage and for the camera since 1992, including roles for 4th Line Theatre, the Union Theatre and short films by 253469. 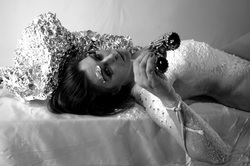 Olivia Roblin studied at York University before pursuing stage, commercial film and avant garde short films with 253469. Brooke Stubbings is a graduate of Humber College's Drama program, is a founding member of Kadozuke Theatre and performs with the electronic music band I&I. Art Szombathy studied performance art and theatre in Serbia before coming to Toronto. 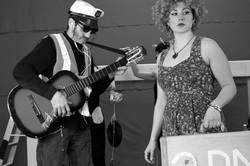 Art has performed on stage and in short films. Kirsten Webb is a recent graduate of the Ontario College of Art and Design's performance art program. Kirsten performs with Red Arm Band. Amber X studied theatre in Sault Ste Marie and now models for photography and film in Toronto and has performed at gallery 253469. Ashley Zarowny is an emerging performer and visual artist who studied in Edmonton, Alberta before coming to Toronto.